So your other half has got down on one knee and made you the happiest person in the world. But now it is time for the real excitement to start - the wedding planning. All couples want their big day to be special but it is without doubt an event that takes lots of planning and the wedding venue is arguably the most important part of the process. Here at the advertiser.ie we provide you with the top tips for selecting a wedding venue. Estimate a figure of guests before drawing up a list of venues. The number of guests will have a big impact on your venue search as if you are thinking about having more than 200 guests then you will probably go for a hotel, an exclusive hire venue, or a marquee. 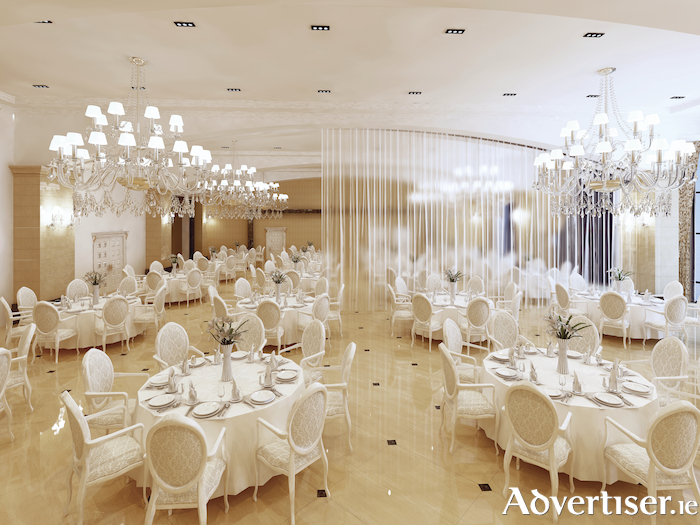 Weddings which are smaller than 50 guests will see a restaurant or small private venue as the best choice. When you are drawing up a list of venues consider where the venue may be. Is the venue far away from guests? Is it easily accessible? Does it have enough beds to house your guests? For guests, the dinner is probably the most important aspects of the day. A bad dinner can result in many people's days being spoiled. Check to see if your potential venue caters for specific food needs such as lactose and gluten intolerances. Once you have whittled down your list of options to the top two or three, go back and visit them again. Visit the venues around the time of day you will get married. Note whether or not the lighting and the look of the place is the same. If your venue is near your home, it is likely you will know a couple who have had their reception there. Ask them about their experience and if they would recommend it. So there's your top tips for searching for a wedding venue, if you would like to advertise your Wedding service for just €4 per month visit Advertiser Classifieds. Are you looking to shape up and keep active this summer? Is technology damaging your eyesight?